The Acer office in Bengaluru has been turned into a demo zone, as the company gives us a chance to take a look at the latest devices it’s bringing to India. As a result, the conference room where Gadgets 360 caught up with Chandrahas Panigrahi, CMO and Consumer Business Head, Acer India, looks more like the floor of an electronics retailer, albeit one that specialises in gaming hardware. 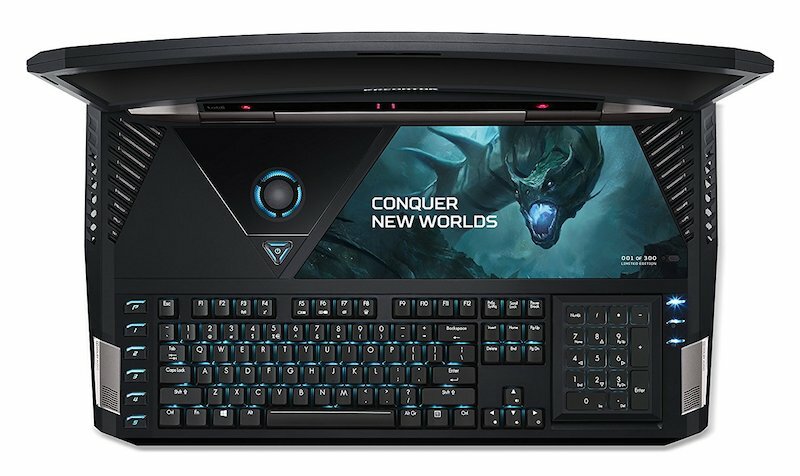 The crown jewel on the long table is the Acer Predator 21 X, a curved screen gaming laptop that launched in India last month priced at Rs. 6,99,999. It’s huge, weighs seven kilos, and comes in a military style trunk rather than a carrying case. Panigrahi says that the expectation was to sell only six units. All six were sold immediately, and there are orders for four more, with no units available right now. “We had expected all business people to buy it, and there was one builder, but there was also one senior government officer who bought the laptop, and one of the customers told us he bought it from Bitcoin investments,” says Panigrahi. The Predator 21 X is an outlier, one that would only sell in limited quantities anywhere in the world, but Panigrahi tells us that gaming is one of the most promising segments for Acer India at this point. According to him, gaming makes up around 4 to 5 percent of the PC market in India right now, but he adds that it has the potential to reach 10 percent. “Part of the problem has been the lack of hardware at good prices,” he says. To this end, Acer has two lines for gamers now, and the cheaper Nitro line is pretty close to a normal consumer laptop, he says. Things were different a couple of years ago, Panigrahi says, as the only people who were interested in gaming were core enthusiasts. People had been buying gaming hardware in India for long, but only a small and dedicated niche. Others, who might have had an interest, would still compromise to save money when buying a laptop. This is changing, he says, thanks to a bigger base of gamers in India. The other big change, he adds, is parental acceptance. “When we were growing up, parents didn’t want to see you playing on the computer all the time, that has changed now,” says Panigrahi. Like several other companies in the gaming space, Acer has also been trying to encourage this trend in India, sponsoring gaming tournaments and trying to help promote e-sports in the country. Beyond this, it’s also working with retailers to ensure that there is training given to employees who can deal with a gamer’s concerns, rather than the more general questions they might face from other customers. “We want them to have a gamer on the staff, who can understand questions about things like frames per second, rather than the typical consumer questions,” says Panigrahi. Among the other things on display at the Acer office is its Windows Mixed Reality headset. It was launched last month, though an official price was not announced. It now has an official price tag, of Rs. 36,999 for the variant that comes bundled with wireless controllers. It’s lightweight, and there’s a dial on the back to adjust the fit of the strap against your head. It’s the simplest headset to put on that we’ve used so far, and it’s extremely comfortable. With two cameras on the headset, it tracks the position of the wireless controllers really well, and inside-out tracking is certainly more convenient than using base-stations that the likes of Oculus Rift and HTC Vive employ. However, we wouldn’t call the experience that we had “mixed” or even augmented reality that the Microsoft’s Hololens delivers. All the demos that were shown were definitely what we’d call virtual reality. That apart, the ease of use is impressive, at a price that isn’t too unapproachable. 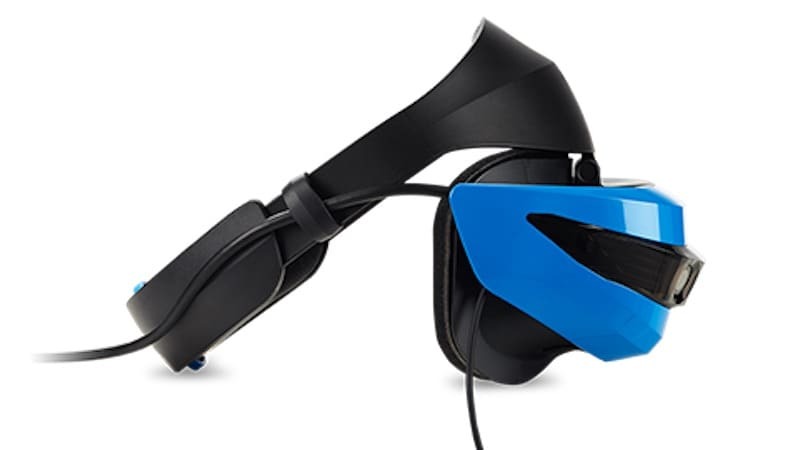 There is of course the little matter that you require a Windows Mixed Reality compatible PC, which should set you back by another Rs. 75,000 or so.